Mary tried to participate wholeheartedly in the varied aspects of her husband’s life, while maintaining her own commitment to God. She set an example for her husband without nagging him or leaving spiritual reading material all over the house. He loved a certain card game, so she became an expert player. She moved among his unbelieving friends as an uncompromising witness for Jesus. Over the course of 40 years those fellow card players and Mary’s husband came to personal faith in Christ as a result of her witness. 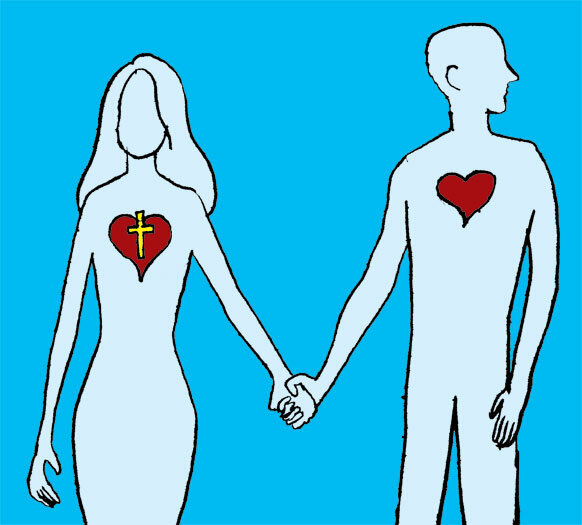 Many dedicated Christians are married to an unbeliever. Often this is the result of a wife or husband becoming a Christian after the marriage ceremony, while the spouse remains an unbeliever. Others marry an unbeliever at a time of spiritual backsliding in their lives, but have now come back to the Lord and the church. Unbelieving spouses seldom, if ever, attend church and have no interest in God. They do very little in helping to give the children a Christian upbringing. Some seem to delight in giving the believing spouse a rough time in any way possible. The believer must endure his/her spouse making fun of the church, the pastor, and other Christians. It was my privilege to lead a workshop for those who are spiritually single. There was an open and honest exchange of what hurts and what works while living with a spouse who does not share a commitment to Jesus Christ. They struggle with having to attend church alone, while having a spouse who begrudges their church involvement. Contrasting values spawn impassioned arguments about what is right and wrong behavior. Marriage to an unbeliever, especially one who is tenaciously opposed to spiritual matters, requires much grace and wisdom from the Lord. There is often friction no matter what the believing spouse does. Spiritually single people must recognize that unhappiness and conflict in marriage may not be due to the fact that their spouse is an unbeliever. 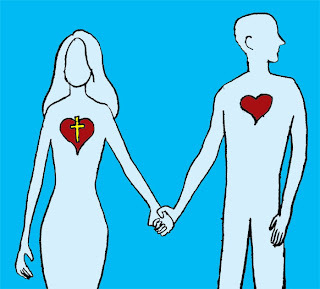 There may be issues in the marriage that will continue even after the mate becomes a Christian. How does a believer build a healthy marriage to an unbeliever? How do you honor God and your mate? Several participants in the workshop shared that they often pray. They pray for their spouse’s salvation and for the grace to be loving and kind toward their unbelieving spouse. Another helpful bit of advice is to become the host not the guest in your marriage. Find out what pleases your mate. A passage in the New Testament Book of 1 Peter 3 advises believers to be the best possible spouse "as unto the Lord." Even though a spouse may be an unbeliever, we are still expected to choose loving behaviors that build intimacy in marriage because we are doing it for God. Why don’t we choose to please our mate more? Some withdraw loving behavior as a means of punishing their mate for past actions and words. We may have simply grown used to each other and will allow the relationship to die. Another reason is that we simply don’t know how to please our mate. One believing husband realized that he had become overly involved in church activities as a way of avoiding spending time with his spouse. He did not let her know of church meetings and would often expect her to do things without him because he had to attend church. Putting Jesus first in your life does not mean that your spouse is ignored. Participants in the workshop agreed that you have to be careful not to become overly involved in the church’s ministry. To do so may jeopardize one’s marriage and witness to your spouse. Some even missed an occasional Sunday worship service or a Bible study in order to spend time with their spouse. A workshop participant told how she spends time with her unbelieving husband, planning fun times for the two of them. In addition, she focuses on his admirable qualities with compliments and respect. With loving behavior and acceptance she is building a healthy marriage and witnessing to her husband of God’s grace. A key element in a healthy marriage to an unbeliever is to concentrate on building an unwavering friendship with your spouse. Even though spiritually you are not equals, you are husband and wife. This was helpful! I haven't found too much on this topic. Anymore insights would be appreciated.